Ellen Neises with Keith Bowers & Chris Streb, Biohabitats Inc. The South Bronx is bounded on three sides by the Harlem, East, and Bronx Rivers. A large proportion of the living wage industrial jobs in the Bronx, critical public infrastructure, toxic uses and contamination are in the floodplain. 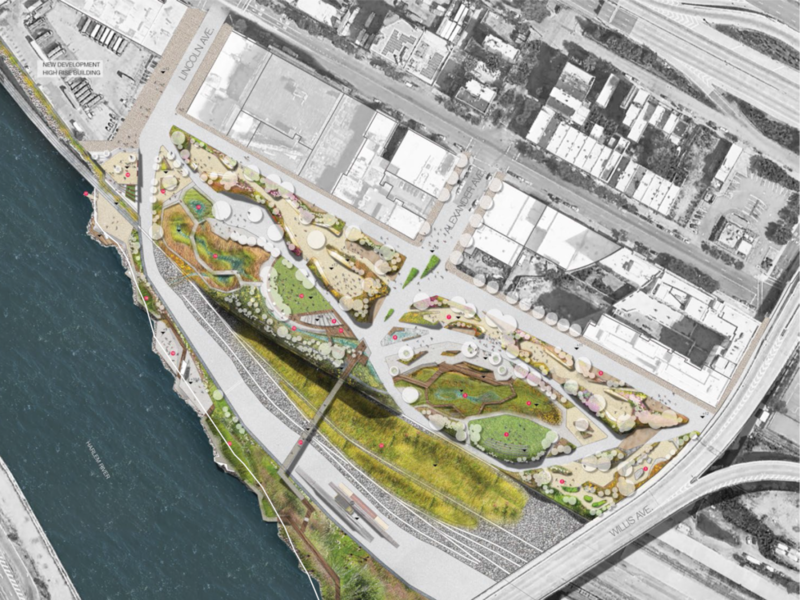 The density and diversity of the South Bronx argue for public outdoor recreation as a form of necessary infrastructure for health, sanity, and for the formation of community, yet there is very little public space. 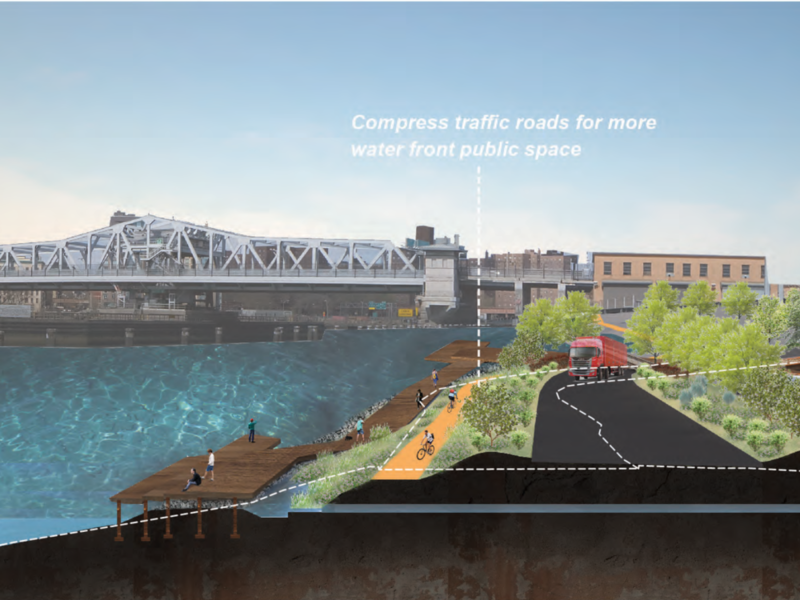 Here climate resiliency investment should produce distinctive built works of infrastructure that create new hybrids of ecology, community development, clean industry, as well as pleasure. 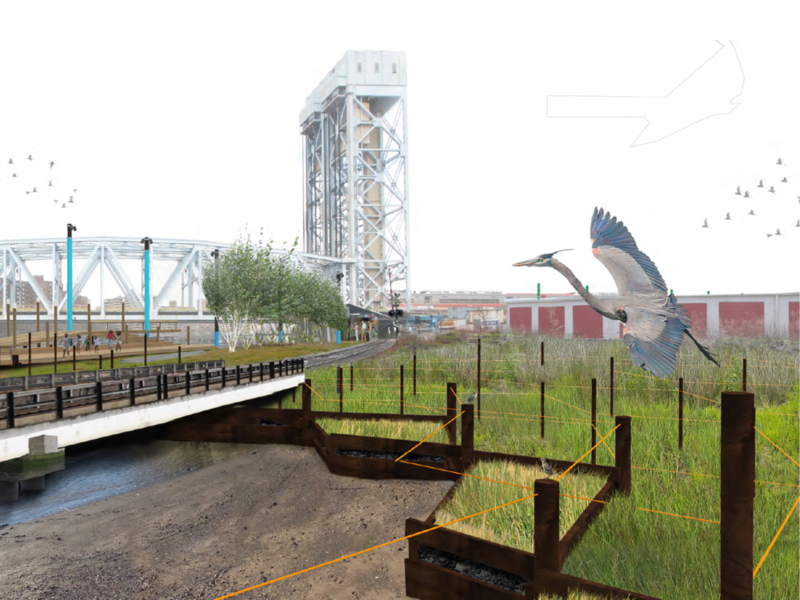 The Bronx Biolab studio took on the problem of designed adaptation of urban coastal edges to accommodate rising water, community life and ecology, by focusing on prototype design. 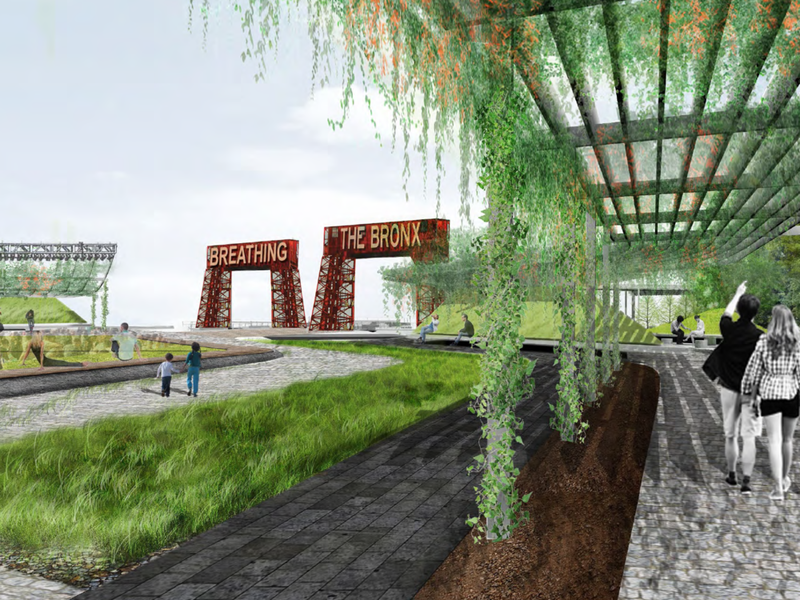 The Bronx Biolab considered a range of questions: How could a string of small-scale parks capture the imagination of inhabitants, and serve as a catalyst for broader transformation? 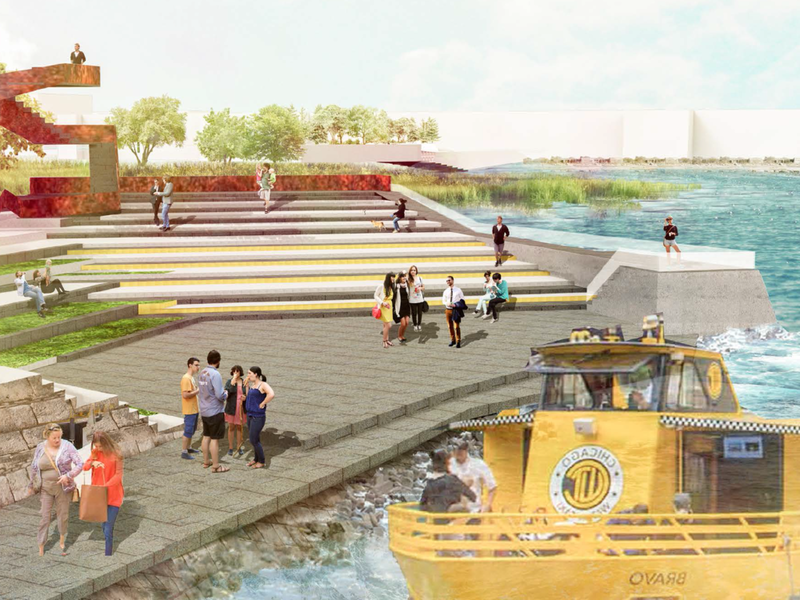 How could an ensemble of multi-authored experiments become a lively agent in the public discussion about real estate speculation, environmental justice and rising seas in New York City? How could precise, small-scale interventions invent a means of communion with, and investigation of, wild rivers?